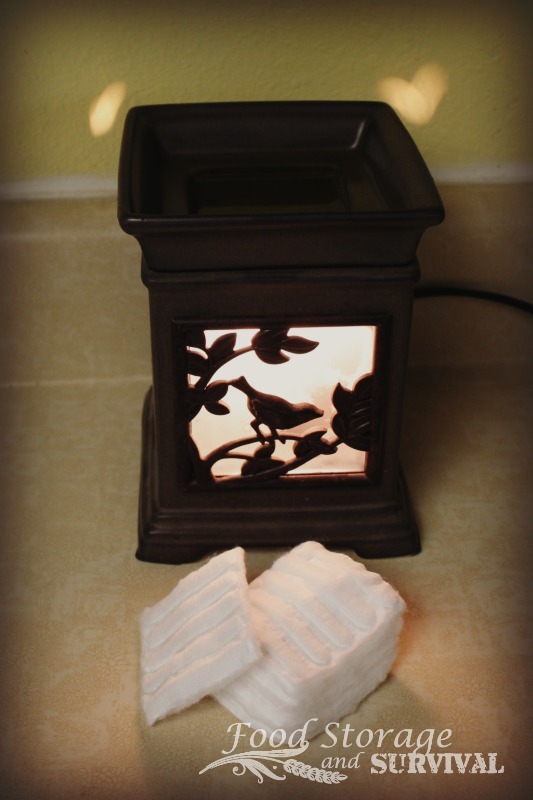 Okay, I know most of you have some sort of melter for scented wax in your house, right? Yes? I held out for a lot of years, but finally got convinced to get one by a friend of mine. So now I have a stinky wax melter in my house and it smells divine. Especially the spicy fall scents. All. Year. Long. I soon found out however, that these stinky wax pieces don’t stay stinky forever and I was changing wax out over and over. Why waste that precious wax? 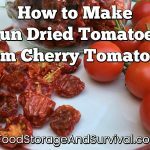 So I started saving the wax in a can to make dryer lint fire-starters, but then discovered an even faster way to get a fire starter made that also cleans out the melter in a hurry. So fast, it’s practically instant. Stinky wax melts. Today I’m using Huckleberry Sage from Scentsy. 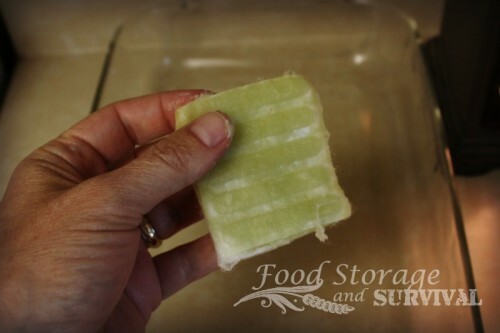 When your wax isn’t smelling up your house like you’d like it to anymore and you’re ready for a change, simply sop up the wax with the cotton squares. Squish the squares in there and soak it all up. 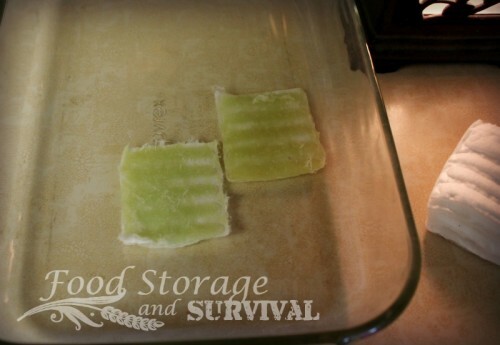 I use THREE cotton squares for each square of wax. 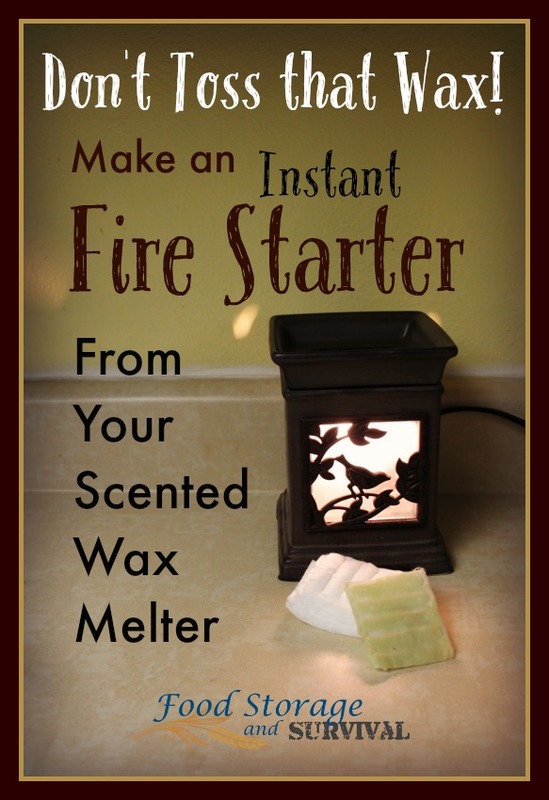 In the video I say two, but I’ve since found that I can soak three and not have any wax left in the melter. Then pull the squares apart and set them somewhere to cool off. I use a glass tray. 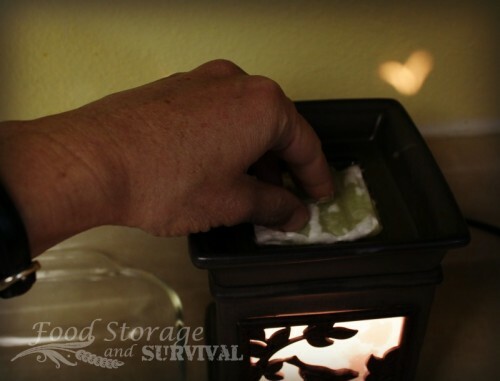 Since this is low temperature melting wax, it won’t burn your fingers and also doesn’t take long to cool off. Once they’re cool, they’re ready to use! 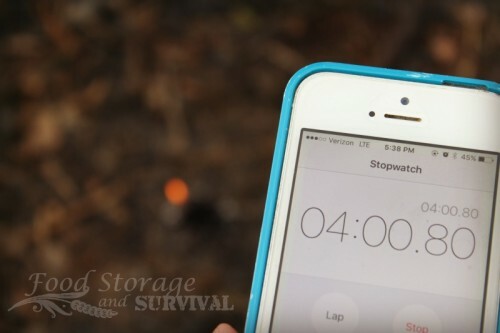 Each fire starter burns for just over 4 minutes. Simply light a corner with a match or lighter and let it burn. They will also light with a striker style lighter! 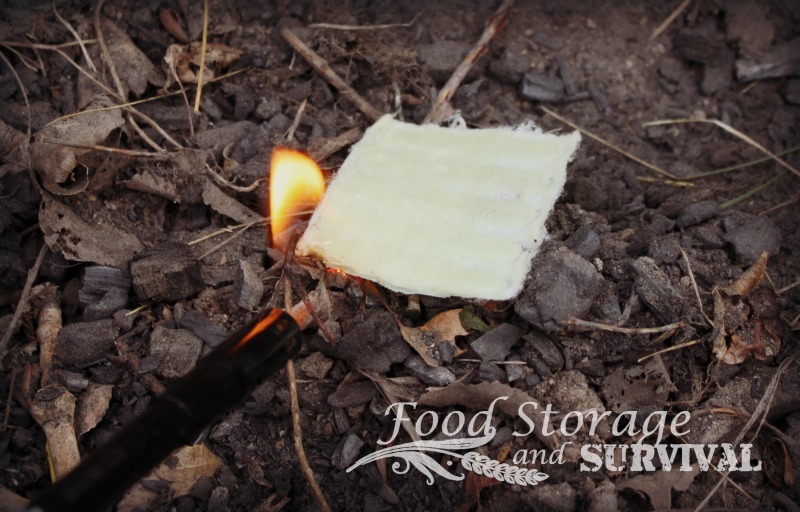 Just rough up the cotton square a bit by massaging it with your hands until some of the cotton fibers are exposed, and strike your sparks to that spot. I demonstrate this in the video below. Lights right up! These can be cut in fourths for even more packability! Light weight and perfect for getting a fire going in your fireplace or wood stove. Also easy to carry in your emergency kit. Or take camping. 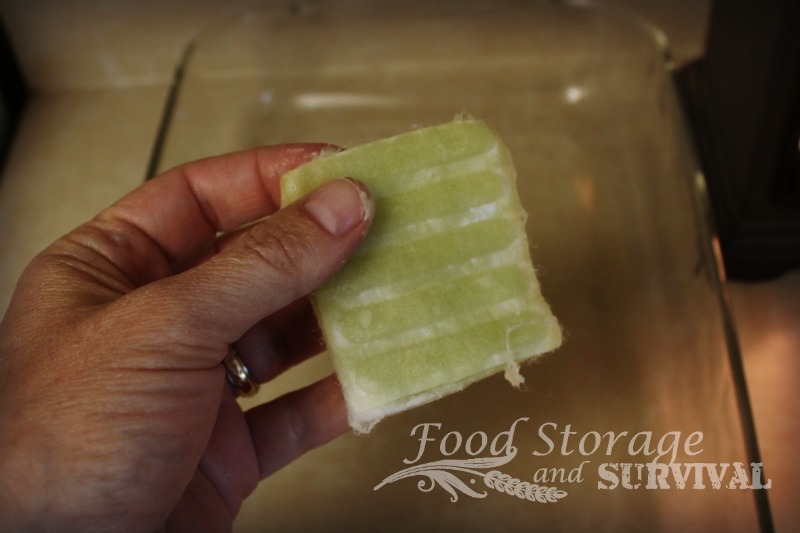 So don’t toss that leftover wax! 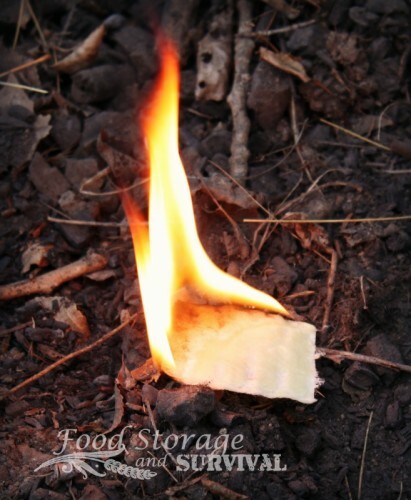 Whenever you’re ready for a change, make some instant fire starters instead.